Mega Sale! Save 23% on the NICOR Lighting 8-Foot Track Rail Section, Nickel (10008NK) by NICOR Lighting at Result BD. MPN: 10008NK. Hurry! Limited time offer. Offer valid only while supplies last. The NICOR Lighting 8-Foot Track Rail Section, Nickel (10008NK) features triple contact connections between the linear track and the track heads. 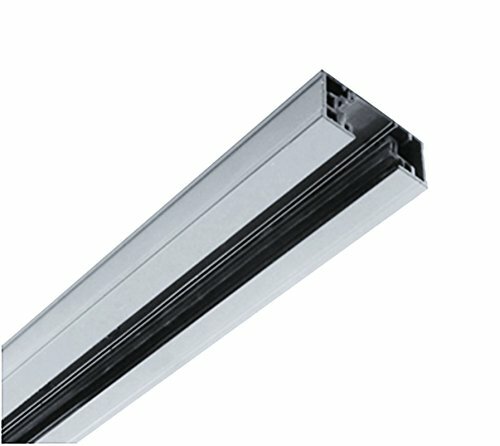 The NICOR Lighting 8-Foot Track Rail Section, Nickel (10008NK) features triple contact connections between the linear track and the track heads. NICOR track pieces use the standard 120V line voltage and works with all nicor track heads. Even better, it is perfect for accenting those hard to light areas with a modern designer look that's both fashionable and practical. Perfect when used for accent lighting on featured areas or artwork in the home or studio. At NICOR, we’re always looking for ways to make your light better. We continue to innovate, challenge our thinking and improve our processes. We look to earn your business by delivering progressive lighting solutions designed to balance value with the highest design performance possible. We’re determined to bring you reliable products that provide real solutions. When you choose a NICOR product, you can rest assured you’re getting a product that has been tested to the highest standards available. Our commitment is to be a leader of reliability, innovation, and excellence because we understand just how important you are.